Let’s take a bit of a look at this because it really is astounding that a premier organization whose near singular focus has been to “make journalism better” is admitting that journalism programs need help. That’s a sad sign of the times. Many of the programs across the country, my alma mater included, continue to enroll students with the perception that the knowledge and skills students gain are adequate in training them for a career in journalism. But are they? I don’t think so and I’ve been voicing this concern for years. It’s no surprise that university programs and their respective curriculums are often slow to evolve in a rapidly evolving profession like journalism. 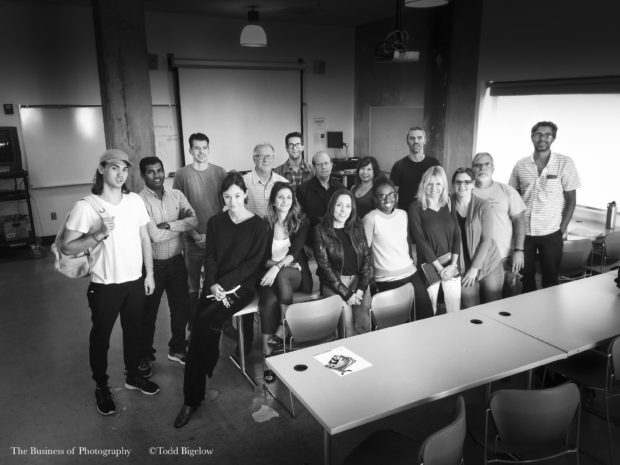 For decades journalism schools could abide by the same standard; teach journalists the fundamentals of reporting and writing, teach photojournalists the fundamentals of shooting and darkroom work, and teach all of them to meet the publication’s one deadline. There was little need or push to evolve the curriculums until journalism ran head on into the digital revolution about 20 years ago. Journalism programs were slow to react given the bureaucratic nature of trying to push new courses through curriculum committees and into the classroom. The “new media” journalism students were now faced with learning how to handle responsibilities previously held by multiple people. 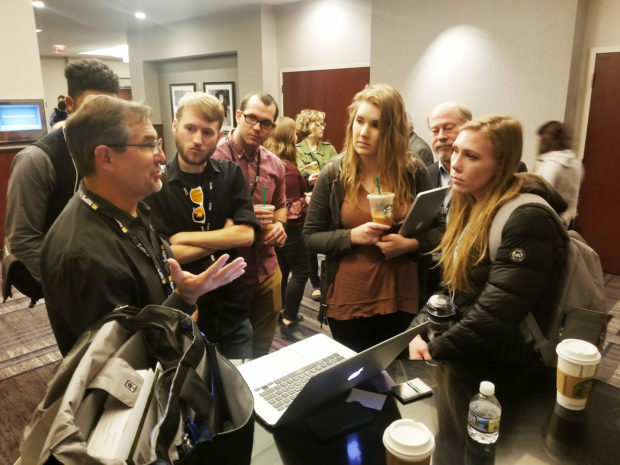 As curriculums caught up to the needs of the profession, reporters learned how to take photos and photojournalists learned how to shoot video and videographers learned how to ask questions and everyone had to learn how to meet digital deadlines and print deadlines while filing instantly on social media platforms. That’s a lot of new skills. Which brings me back to why Poynter’s reference to “supplemental journalistic training” being in “growing demand” is so eye popping. We’re twenty years into the digital revolution. What gives? Students are going deep into debt to pay college tuition costs and graduating into a life of monthly student debt payments. Why do they need education beyond these recently added, comprehensive, skills based offerings (internships not withstanding)? One problem with supplemental training is that it’s a battle to get students to take such training seriously. Students feel everything they need to enter their field will be delivered via their university program. Who can argue with that? Students should have confidence in their programs to deliver the goods. Unfortunately, that’s not happening and Poynter raises that issue directly. But I know this personally as well. I created a workshop five years ago for the same, exact reason that I assume Poynter created the College Media Project; to fill a hole in the education of the next generation of journalists. I’ve spent far too many hours to count putting together a comprehensive, intensive program that is delivered over two days on one aspect of photography/photojournalism that is largely overlooked by most journalism and photojournalism programs; the business side of freelancing. Some may give passing reference to it in a lecture or two, but the vast majority of programs that I’ve studied do not touch on it despite the fact that the entire profession continues to evolve further into a freelance dominated field. Journalism programs have mostly navigated the technical side of a changing workplace (reporters with cameras, photographers shooting vid and recording interviews) by offering skills courses to meet the demand, but the profession has evolved in far more ways than just technically speaking. Journalists and photojournalists now work for themselves at rates never seen before so learning how to deal with contracts, copyright, licensing, negotiating rates, tax issues and more is as imperative, if not more, than learning how to fly a drone. That being said, universities are still coming up short in preparing their students for a freelance dominated profession. So students have to seek the “supplemental education” that Poynter states is persistent and growing. We should all applaud Poynter for recognizing a serious shortcoming and developing a solution. But we should also all be alarmed by the fact that journalism students need for supplemental education is seen as “persistent” and “growing.” Substantive change in journalism programs is needed so students are not burdened with supplemental education to enter their field.